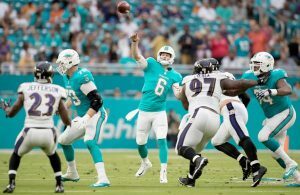 (Miami, FL) – For the second week in a row, the Miami Dolphins (4-2) faced a deficit of at least 14 points in the second half before ultimately coming out victorious. 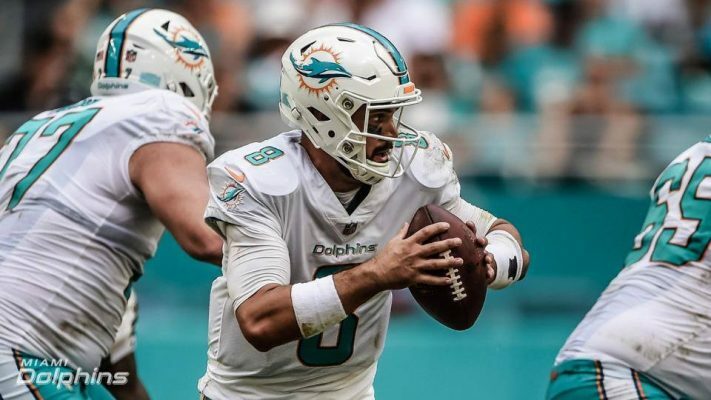 This Sunday, it was Miami backup quarterback Matt Moore who led the Dolphins to a thrilling 31-28 comeback win over the New York Jets (3-4) at Hard Rock Stadium after he replaced starter Jay Cutler in the third quarter due to a chest injury. Down 28-14, Moore (13-of-21 passes completed for 188 yards and one interception) threw both of his touchdown passes to wide receiver Kenny Stills in the fourth quarter as the Dolphins outscored the Jets 17-0 in the final 12 minutes of play. New York quarterback Josh McCown, who completed 17-of-27 passes for 209 yards and three touchdowns, threw a crucial interception to Bobby McCain after the Dolphins cornerback stepped in front of a pass intended for Jets wide receiver Jermaine Kearse to give Miami the ball at the Jets 27-yard line with 39 seconds left. “He was just in the right spot. That’s team defense. Bobby was where he needed to be and he made the play,” Dolphins star safety Reshad Jones said of McCain’s clutch interception. The huge defensive play by McCain allowed Dolphins kicker Cody Parkey to kick a 39-yard field goal with just 22 seconds left in regulation for Miami’s first lead of the game. 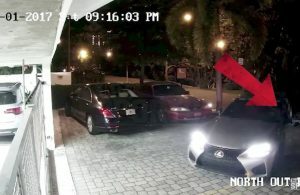 Before Cutler exited the game with a chest injury, he completed 12-of-16 passes for 138 yards, two first-half touchdown passes and threw one interception. 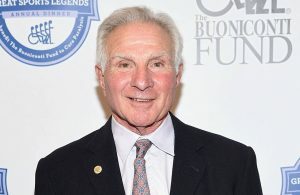 Dolphins star receiver Jarvis Landry (seven catches for 93 yards) caught a touchdown pass from Cutler in the first quarter, while tight end Anthony Fasano caught the other in the second quarter to tie the game at 14-14. For the Jets, Kearse had one touchdown reception for 29 yards, while wide receiver Robby Anderson and tight end Austin Seferian-Jenkins also caught touchdown passes from McCown on the afternoon. Up next, the Dolphins will hit the road for a Thursday Night Football contest with the Baltimore Ravens (3-3) at M&T Bank Stadium. The contest, which will kick off shortly after 8:25 p.m. ET, will be broadcast nationally on CBS.